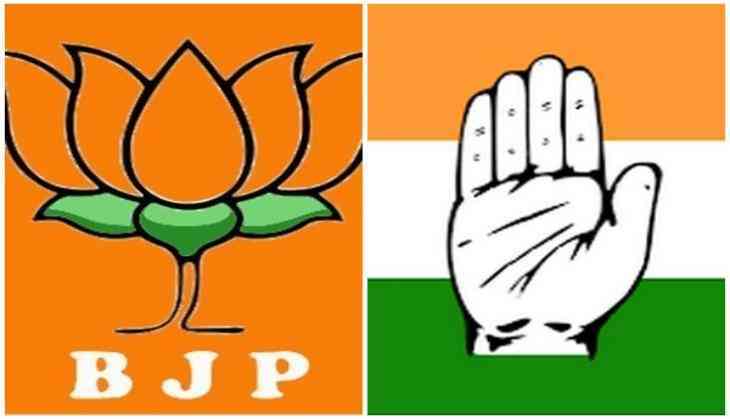 A Gujarat Congress leader, who is expected to tender his resignation from Congress anytime now, on Saturday said that the Congress MLA who recently joined the Bharatiya Janata Party (BJP) will win the upcoming Rajya Sabha elections. Gujarat Congress leader Raghavji Patel today said that state MLA Balwantsinh Rajput, who has joined BJP, will win the upcoming Rajya Sabha elections. "According to the information I got, a lot of people from Congress are in favour of Balwantsinh Rajput. I feel that he will win the elections. Balwantsinh is the third candidate from BJP and will win," Patel told media here. He added that in the upcoming state elections, he will not fight from Congress. In the backdrop of Gujarat Congress MLAs quitting and joining the BJP, S. Prakash said it is happening as people do not see any future in the Congress Party. At least six Congress MLAs in Gujarat have resigned from the party to join the BJP. BJP leader S. Prakash said Gujarat Congress leaders are not sure of getting re-elected and see no future in the Congress and that is why many Congress MLAs are deserting the party. Similarly, another BJP leader Prabhat Jha mocked the Congress, and said it is not more a party, but is being run by a family. After its MLAs joined the BJP, Congress high command has taken its 44 MLAs to Bengaluru fearing horse trading. The Congress has accused the BJP of horse-trading ahead of the Rajya Sabha elections in Gujarat. However, the BJP laughed off the accusation and said the Congress has become a sinking ship and is not able to hold its own house together. Meanwhile, BJP president Amit Shah, Union minister Smriti Irani and former Gujarat Congress chief whip Balwantsinh Rajput, who joined the saffron party on Thursday, filed their nominations for the upcoming Rajya Sabha elections on Friday. Elections to the three Rajya Sabha seats from Gujarat are scheduled on August 8. Lulia rushed out from the sets of Tiger Zinda Hai? READ NEXT >> Lulia rushed out from the sets of Tiger Zinda Hai?